Last year the bridal retail chain Alfred Angelo shocked and disappointed brides to be when it filed for bankruptcy and now another dress shop has apparently suddenly shut down. 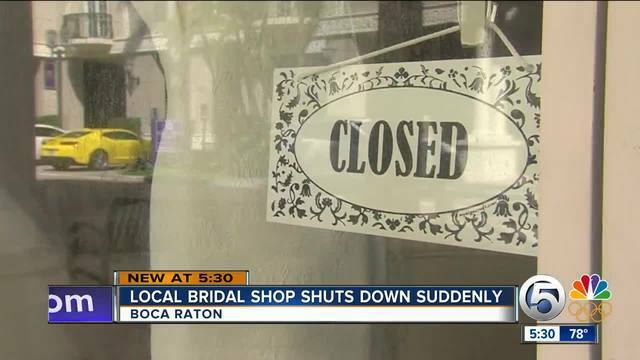 Brittany Burns Bridal in Boca Raton has been closed for the last few weeks. Brides have tried to contact the owner with no luck. 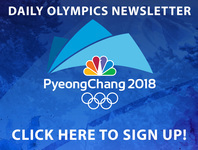 “It is a nightmare,” said a woman named Gamze, whose son is getting married. Her future daughter-in-law cannot get her dress. “It is very scary,” she said. Reviews online reflect similar situations; people said they have had appointments with the shop but when they show up, no one is there. Katie O’Donnell flew in from Pennsylvania to dress shop with her mom but no one was at the store when they arrived for their appointment. WPTV attempted to contact the owner but she did not respond to any of our messages and the landlord did not have a comment. A local seamstress had some of the dresses from the bridal shop, but other brides are left wondering if they will get take possession of their dresses. This letter is to inform you that Brittany Burns Bridal of Boca Raton will be closing its doors permanently. The past few months have introduced many exciting changes in my life, including the birth of my first baby. With this, my husband and I have made the decision to relocate back to our hometown so that our families can experience the joy of togetherness with our new addition. While our adventure in Florida has been a memorable one, life's special moments just aren't the same without the company of your dearest friends and family members to share them with. I regret that we have had a difficult time finding the perfect consultant to manage the shop in a way that meets my expectations, and since our baby is changing and growing every day, we have decided it best to proceed into the next chapter without further delay. Being of service to all of you has been such a pleasure. I will never forget the fun and heartfelt times experienced in the shop, helping all of you find the dress of your dreams for what is to be one of the most important days of your lives. You, your families and friends have given me some of my greatest memories, and I hope that you cherish them as much as I do! I hope that you will share your wedding photos with me once you say, "I do." It really would mean so much! She is an expert in her field, and ready to serve you (and your mothers, bridesmaids, etc.) in her boutique atelier. Lastly, a liquidation sale will be taking place in the coming weeks, in which all items are for sale with significant discounts. This includes bridal gowns, veils, accessories, furniture, and décor. If you want to complete your look, or have a gown that is currently being stored at the shop, you may pick it up during this time. However, if you are unable to attend, your goods will be carefully delivered to your home free of charge. You will be contacted with a range of dates to stop by in the near future. Brides, please reply to this email with your full name and shipping address to have your items shipped as they are received. Those that do not provide shipping information via email will be contacted by phone as merchandise arrives. Thank you for the positive memories, and for believing in the mission of Brittany Burns Bridal. I am so glad to have made great memories with you all, and now look forward to my future in my hometown with the people that I love.